The best spice store in Paris is Goumanyat et Son Royaume, near the Place de la République. This is the retail outlet for Thiercelin, a seventh-generation family-owned spice merchant and producer that has been in business since the time of Napoleon. 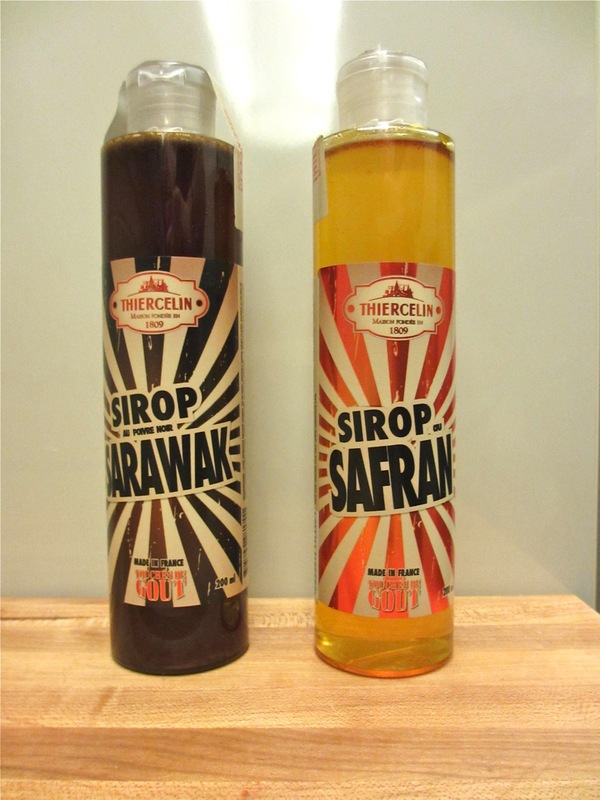 In addition to the highest quality spices - especially saffron and peppers from all around the world - Thiercelin produces flavored oils and syrups based on proprietary blends. 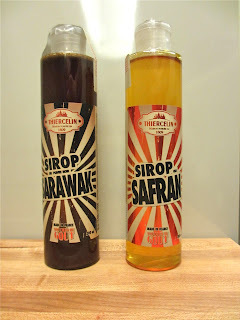 This trip I bought two of their flavored syrups: Sarawak pepper and Saffron. Both are marvelous, and I have only started figuring out how to use them. The simplest way is to add a few drops to still or sparkling water; the aroma is amazing, and the taste subtle and enticing. Just as simple is to pour a little on vanilla ice cream. The saffron, in particular, produces a fascinating mélange of flavors. These syrups could also work miracles in the hands of a serious mixologist (which I am not). I tasted samples of other wonderful Thiercelin syrups, but one must have limits. Among others were a white Sarawak pepper, somewhat milder than the one I bought, a Tasmanian pepper, still milder, and a Sichuan pepper, with an altogether different, but still interesting, flavor profile. Goumanyat et Son Royaume, 3 rue Charles-François Dupuis, Paris 3ème (Métro République).